Shake Shack goes for a barbecue theme with a new, limited-edition menu featuring a trio of menu items, each including Shack BBQ Sauce. - BBQ ShackMeister Burger - A beef patty topped with cheese, crispy ShackMeister Ale-marinated shallots, and Shack BBQ sauce on a potato bun. 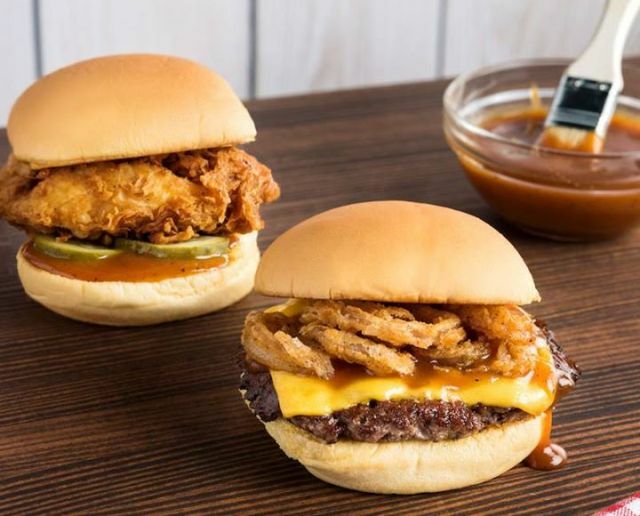 - BBQ Chick’n Shack - A crispy chicken breast filet with Shack BBQ sauce and pickles on a potato bun. - BBQ Bacon Cheese Fries - Crinkle-cut fries topped with all-natural smoked Niman Ranch bacon, Shack BBQ Sauce, and cheese sauce. The barbecue menu is available for a limited time at all US locations except for those located in stadiums or at JFK Airport.